Share a moment of tenderness and complicity with your child. 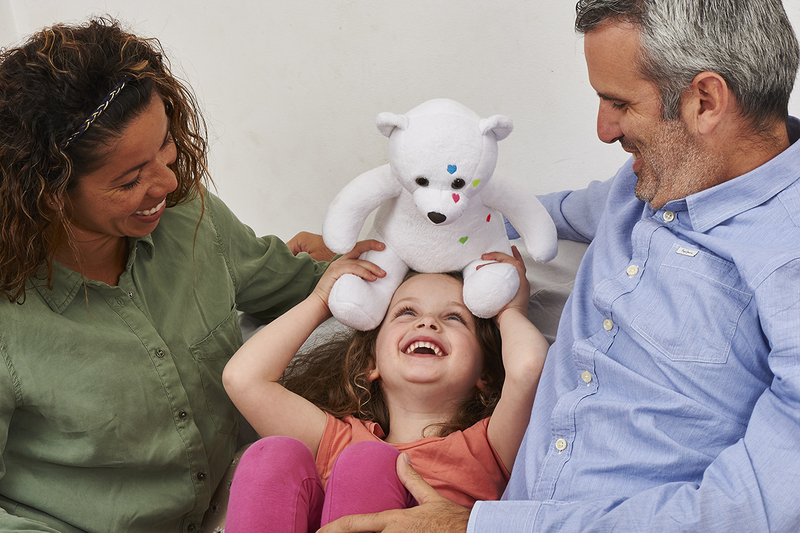 Thanks to Doudou Zen your child learns to express his little hassles to his new companion while having fun! 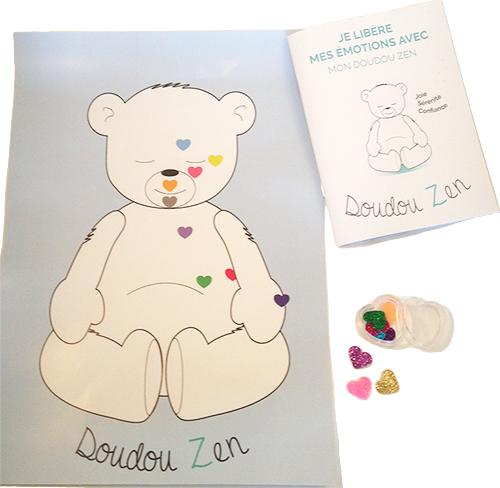 I free my emotions with my Doudou Zen! 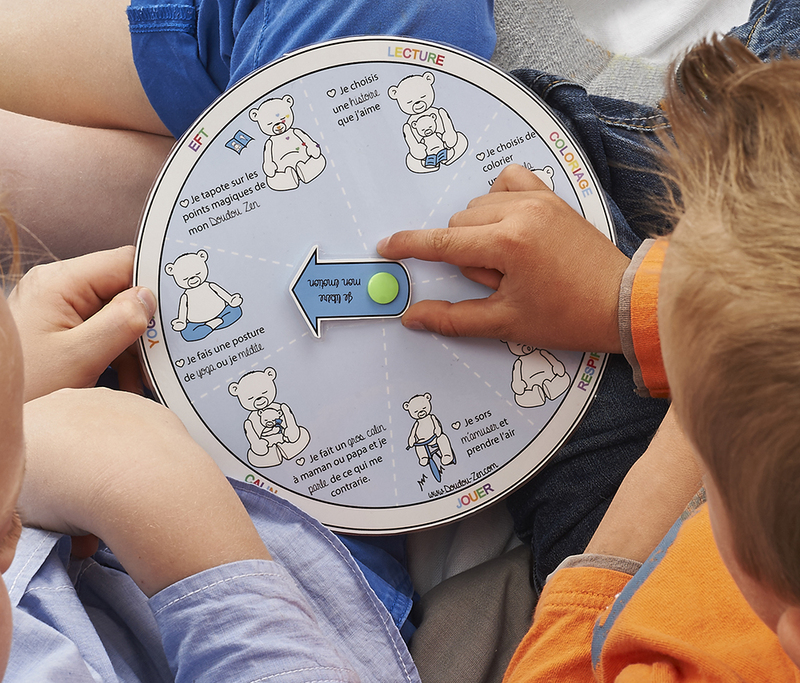 Ideal to practise EFT with children, in cabinet or at the house! 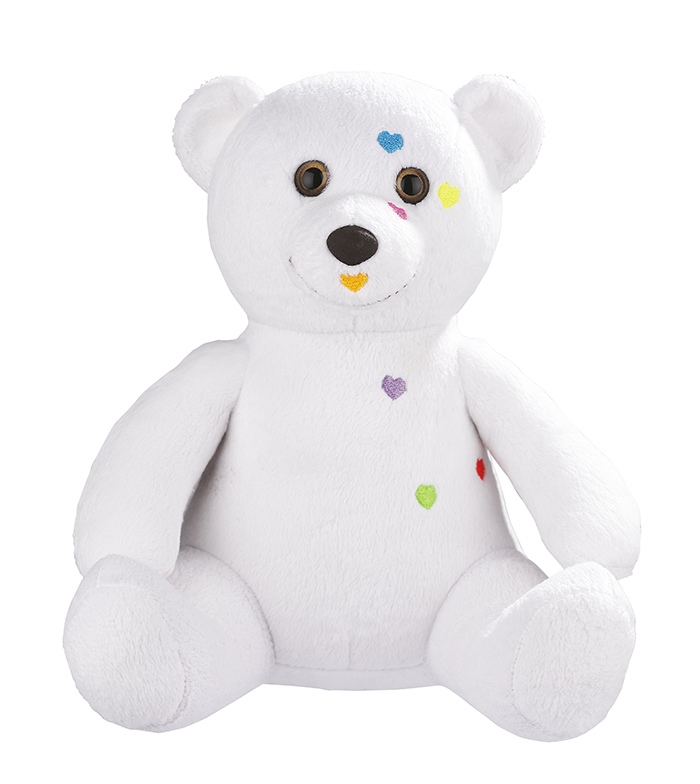 Hearts with bright colors are carefully positioned on the bear at the location of the acupuncture points. 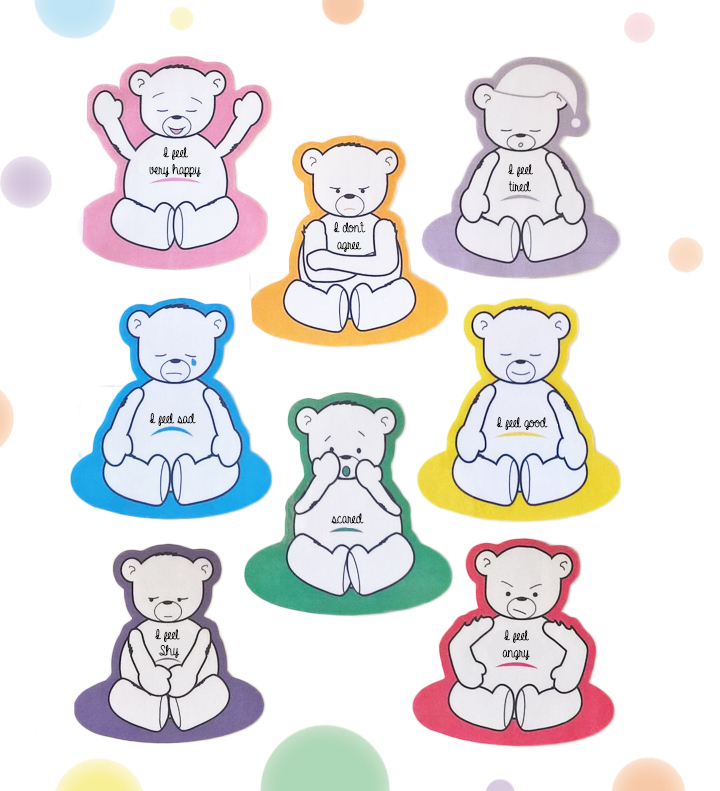 A booklet accompanies each Doudou Zen Rainbow to better adopt them. You will find drawings and supports adapted to children, which will help them to clarify their emotions and their intensities, to better tame them! Nous vous envoyons le pdf les tickets émotions à imprimer et découper : Colère, Tristesse, Heureux! The teddy bear is so cute! I have just customized my teddy bear with the Kit!! Looks so good!! thanks! Excellent work. My teddy bear Rainbow is so beautiful! My son is so happy!! thanks!! Our project 84%!! Big thanks to all our KissBankers!!! The creators of Doudou ZEN !